This icy-cold and crystal clear river exits Great Bear Lake, the fourth largest freshwater lake in the world. 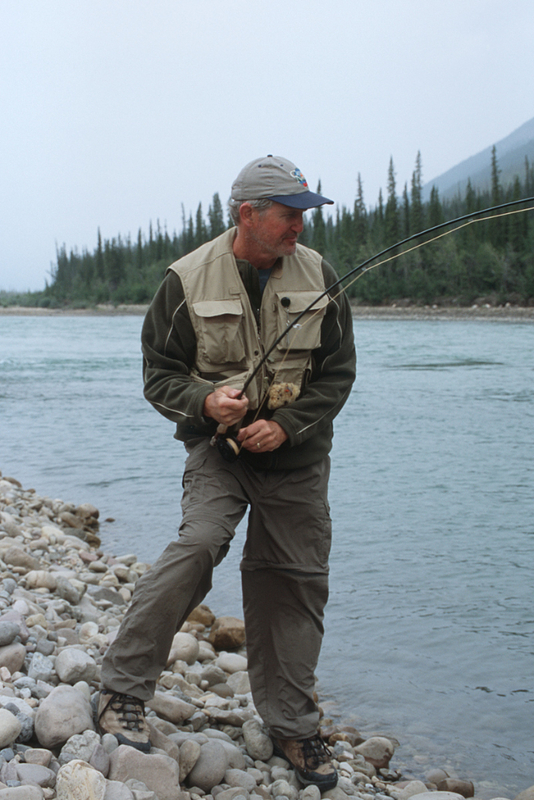 Fishing for trout, grayling, inconnu, pickerel and pike can only be defined as world-class! 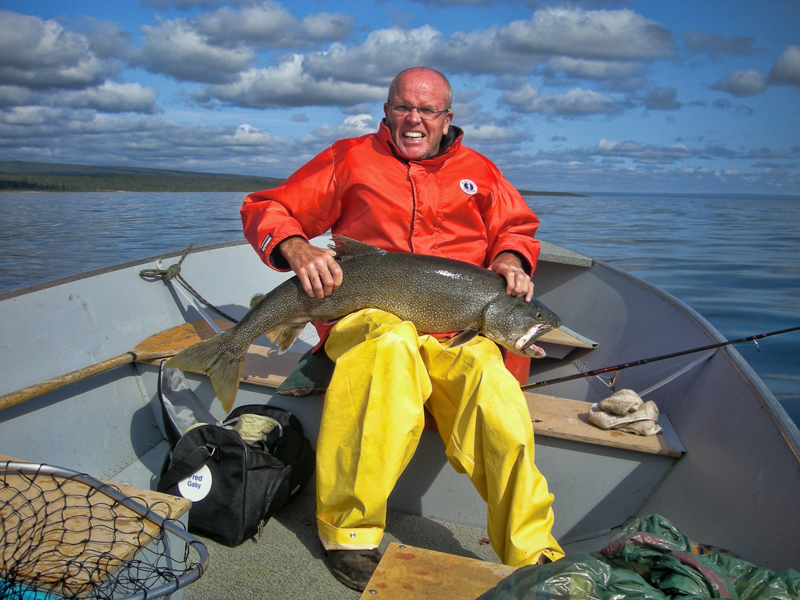 An optional day can be arranged with aboriginal guide Morris Modeste to fish for mammoth-size lake trout on Great Bear Lake. Class II swifts and rapids offer added excitement from the steady swift current ideal for novice or intermediate paddlers. 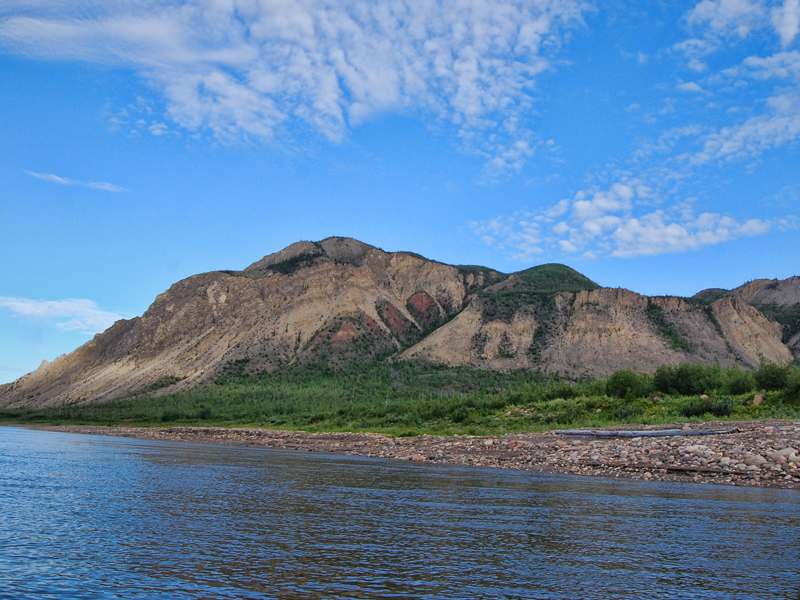 The remote Dene communities of Deline and Tulita provide opportunities to discover the rich aboriginal history of the region. 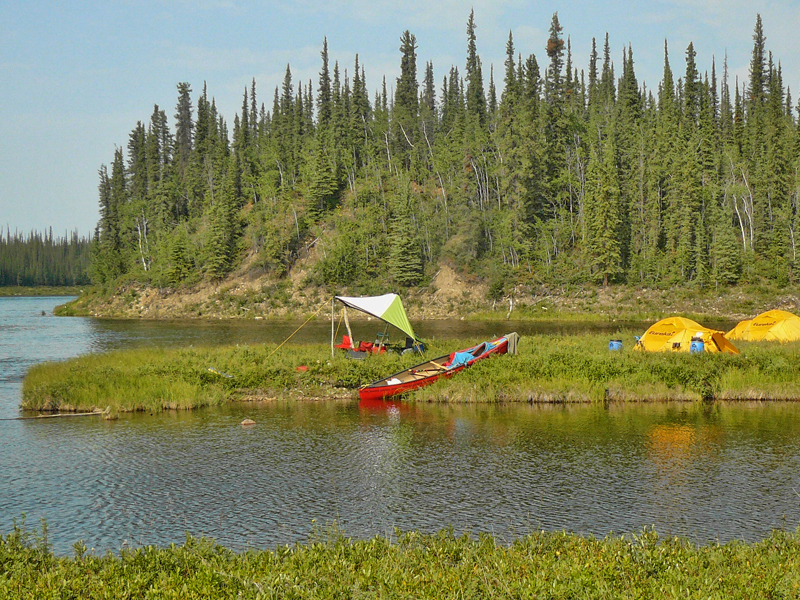 The Boreal and Taiga forests that grace the shores of the Great Bear River offer paddlers an inspiring and historic journey through the Mackenzie lowlands. The current on this river often reaches speeds of 10 – 12kms per hour with pristine, crystal-clear water. An active layer of Permafrost underlays the entire region. 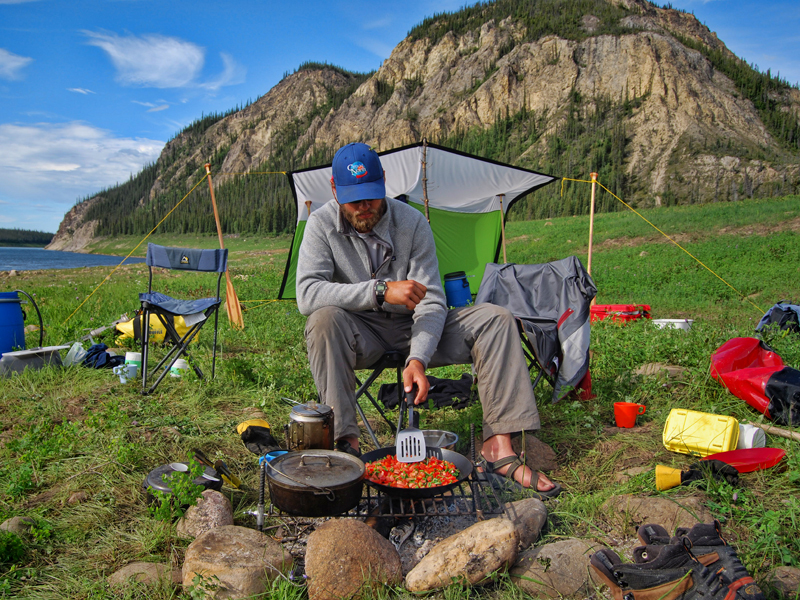 The rugged campsites are situated at the confluence of small side creeks. You are continually reminded of the explorers who used this route to access Great Bear Lake and beyond into the arctic barrenlands. The only technical paddling on the river occurs just upstream from Mount St Charles where rocky Class II rapids demand a cautious approach. 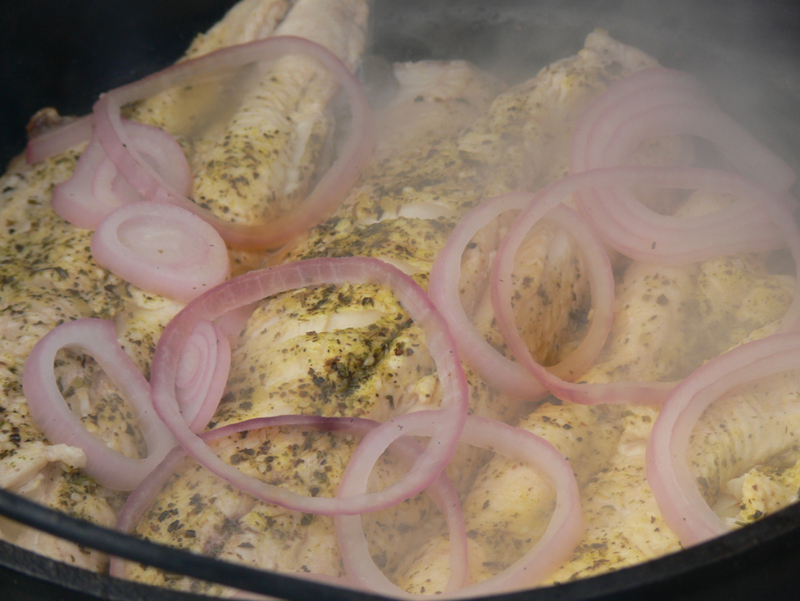 Hiking at Mount St Charles is worthy of a day spent in camp and you can count on fresh fish cooked on an open fire for dinner. 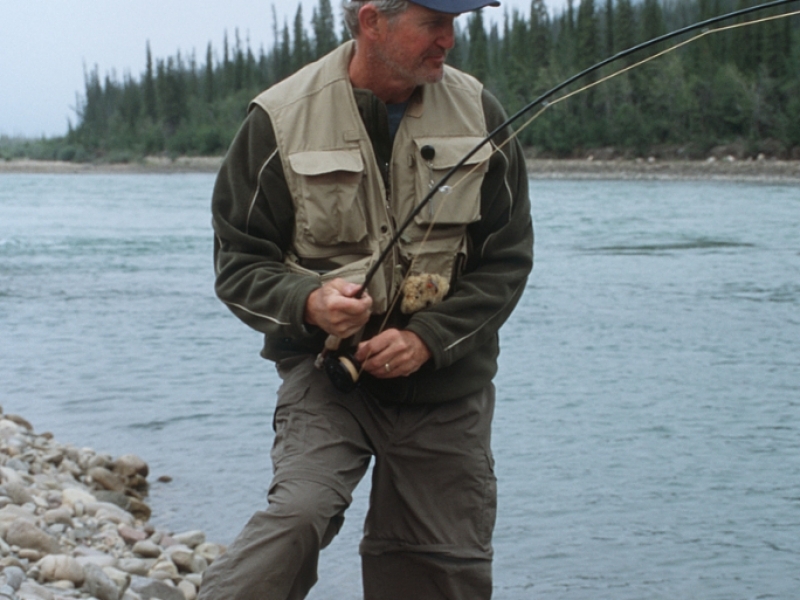 With the canoe trip comes the opportunity to fish in one of the most renowned regions of the north. 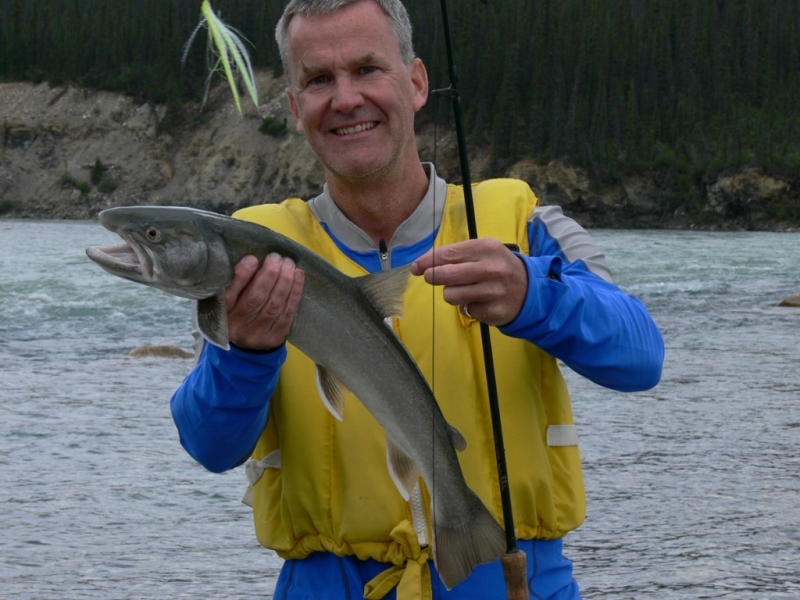 Great Bear Lake offers world-class lake trout and arctic grayling. The group may join Morris Modeste for an extraordinary fishing experience with his deep knowledge of the lake and his long experience catching some of the world’s largest lake trout. 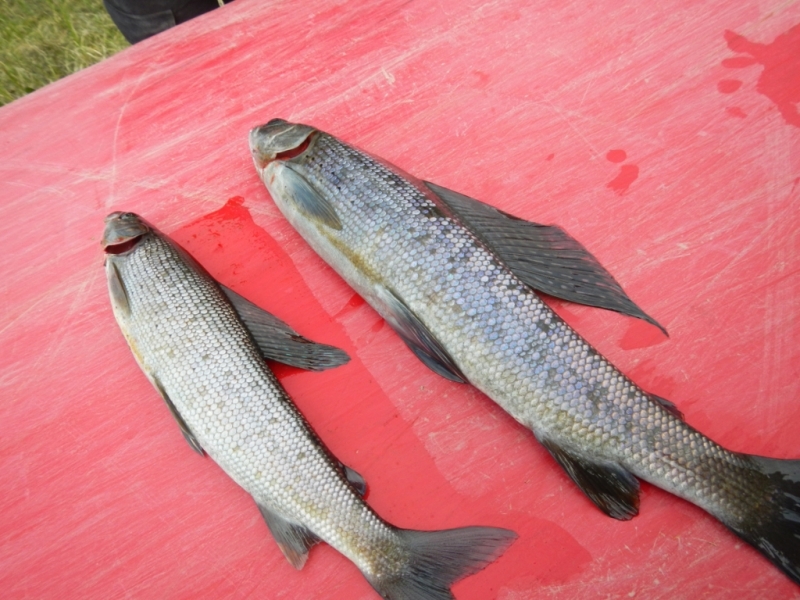 Then after entering the Great Bear River, fishing opportunities include large, plentiful arctic grayling, inconnu, pike, pickerel and lake trout. A fly-fishing dream river! Do not be at all surprised to literally catch a fish on every cast. 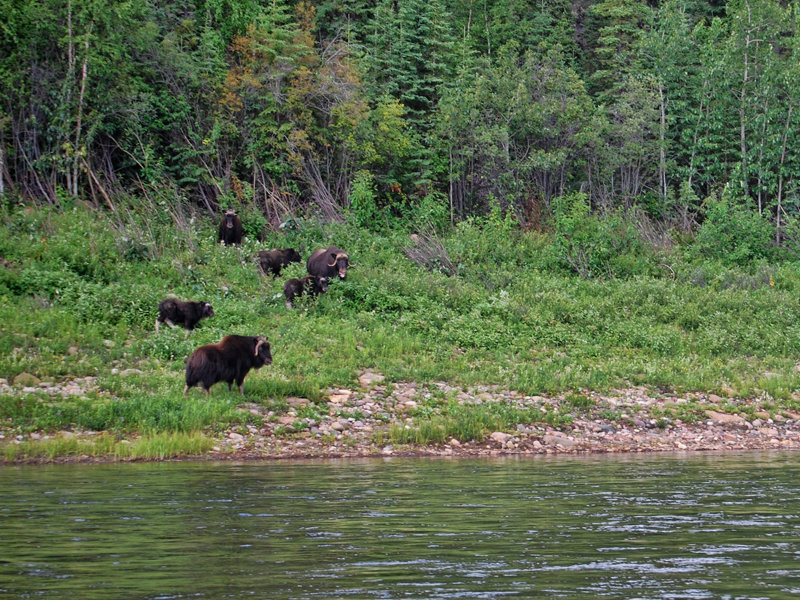 Great Bear Rock announces the upcoming confluence with the Mackenzie River at Tulita where trippers can tour and experience an authentic Dene community. A hike up Great Bear Rock offers an awesome view of Tulita and the Front Range of the Mackenzie Mountains. A full day paddle on the historic Mackenzie River returns paddlers right to the dock in Norman Wells where the trip concludes. Day 1 Charter flight from Norman Wells to Great Bear Lake at the Dene Village of Deline. Day 3 Lake trout fishing on Great Bear Lake with Morris Modeste (optional). 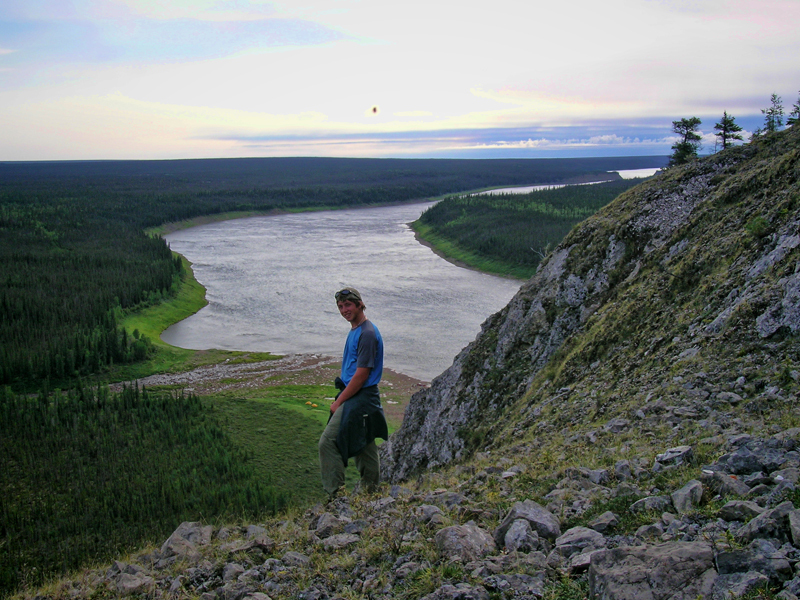 Spend a day fishing on a world-class lake and enjoy a shore lunch with this aboriginal guide from Deline. 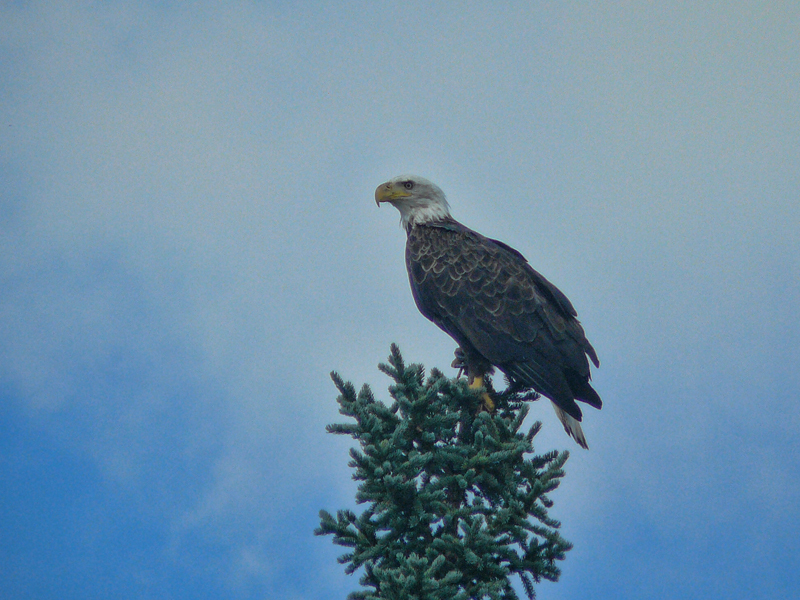 Day 4-7 Paddle down the crystal clear water of Great Bear River stopping at Porcupine River, Stick Creek, Mount St Charles and Brackett River. 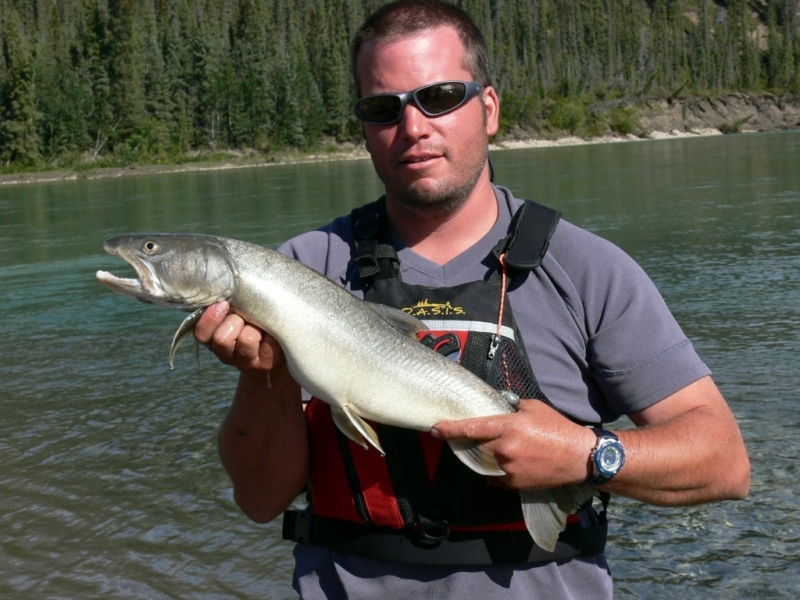 Fishing opportunities abound for pickerel, arctic grayling, inconnu, pike and lake trout. 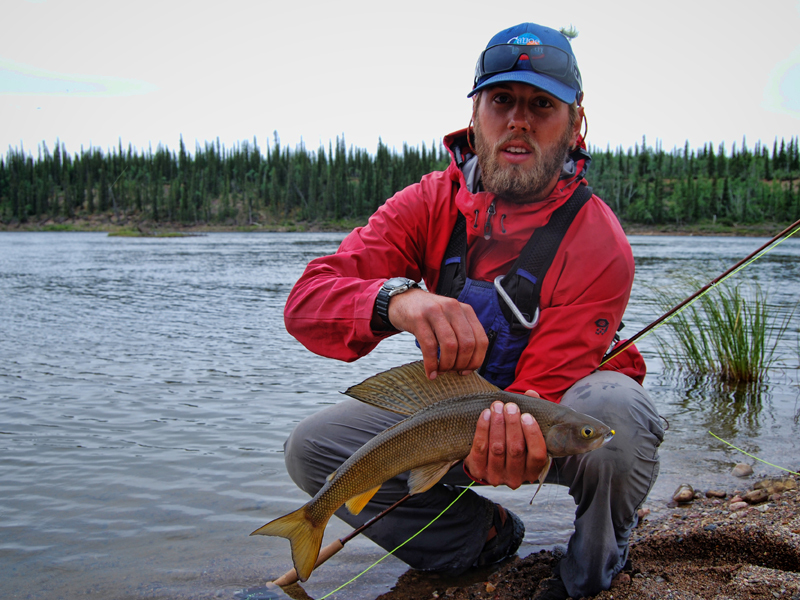 Catching a fish on every cast is not an exaggeration! Day 8 Arrive Tulita, tour of this charming Dene Village at the confluence of Great Bear and Mackenzie Rivers. Camp just downstream at Great Bear Rock. 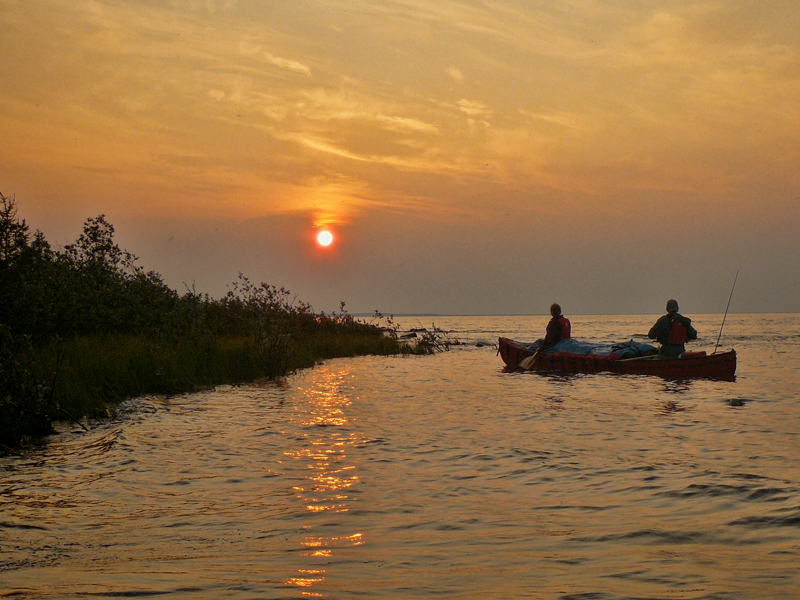 Day 9 Paddle the mighty Mackenzie River heading for Norman Wells. Immerse yourself in the history of explorers who first travelled here and learn about the importance of this river to the opening up of the north. 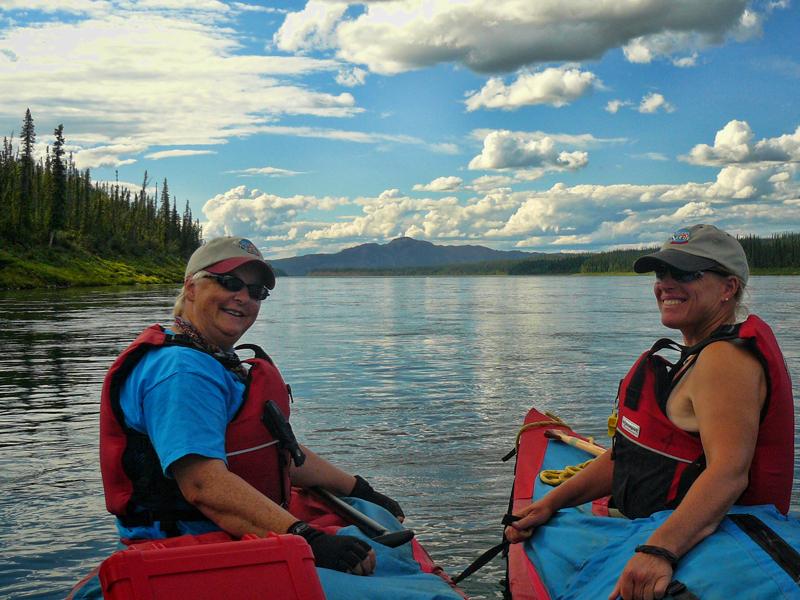 Day 10 Return to Norman Wells with a final paddle on the Mackenzie. Final night dinner at the Canoe North Outfitting Centre.